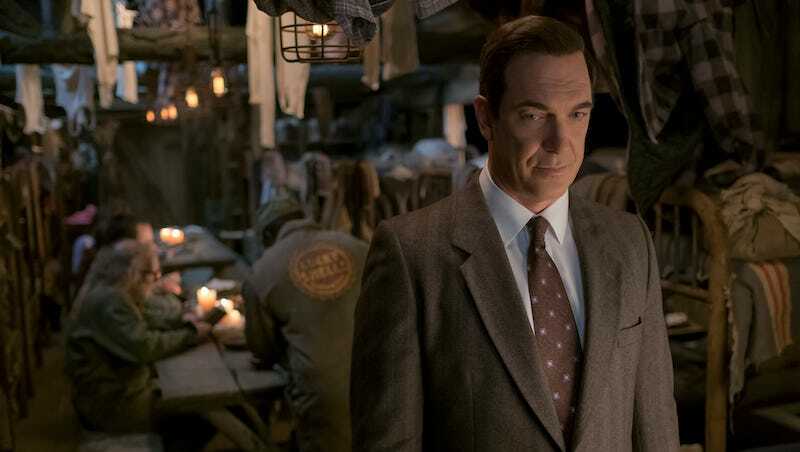 It’s not a huge surprise that Netflix is making a second season of A Series of Unfortunate Events—the first one ended with a clear promise of making the next book—but the way they made the announcement took a few steps. I am deep in season 2. I’ve been working in my own dining room with a team of writers I’m really loving on the next season, and we hope to get the go-ahead to do season 3, which… given how quickly young actors age and change, we’re trying to film everything as quickly as possible. The second season is laid out to be 10 episodes for the next five books, so it ends on The Carnivorous Carnival, and the third season would be the rest of it. That means we should expect to see The Austere Academy, The Ersatz Elevator, The Vile Village, The Hostile Hospital, and The Carnivorous Carnival whenever the next season gets revealed. Going through all this just to find out that production was officially starting on the show’s second season, something we’d basically known about since January, felt a bit like Netflix was in a competition with HBO to reveal mundane TV release info in the most unnecessarily complicated manner possible. At least the website wasn’t a video of Neil Patrick Harris encased in ice.